Brood management. The act of removing chicks or eggs from a hen harrier nest, on a driven grouse moor, when the number of nests within a defined area exceeds a predetermined number, so the chicks can be raised safely in captivity, to be released elsewhere. Sounds illegal, and indeed it would be, outside the fantasy realm of grouse moors. The idea is sound, in theory. By removing the chicks or eggs, the nest doesn't need to progress, so the adults move away as they don't have to feed their offspring on the bounty of grouse chicks roaming the moors. Therefore there is no conflict between the gamekeepers, under pressure from their estate-owning employers to protect and increase red grouse numbers, and the adult hen harriers looking to feed their growing chicks. The chicks, mature into adults, and are released far, far away from the grouse moors, and everyone involved lives happily ever after. Wonderful, you'd think. 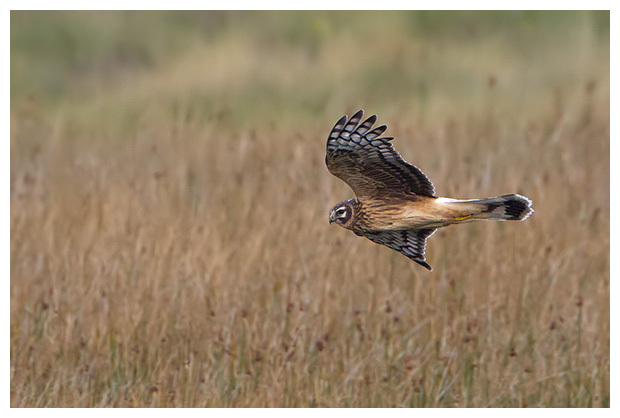 After release, the skies of Britain will be full of hen harriers, flying over the green and pleasant countryside, until of course, they find their way back to a driven grouse moor. In fact, the current "plan" is to release the birds on or near the nest site, so on a grouse moor. A driven grouse moor is an artificial environment, managed to boost numbers of red grouse, which is seen by the harriers as an all you can eat buffet. It is overly managed so that no predators to the grouse exist. Foxes, stoats, weasels, corvids, falcons, eagles, harriers (the list goes on) won't be seen there, because the shooting industry don't "let them in". "Let them in"? I've never seen a grouse moor protected by huge fences and netting, to physically prevent these predators from being allowed in. So how are they stopped? By being shot, poisoned, trapped etc. Illegal? Yes, but driven grouse moors are huge expanses of barren land, and there are hardly ever any witnesses. Unless it's caught on video, in which case some driven grouse-shooting-loving legal expert, coupled with a driven grouse-shooting-loving judge, deem the evidence is inadmissible, and nothing comes of it. I suspect had Ian Brady and Myra Hindley been caught on such a device, in such a compromising act, then the evidence would have seen them committed far sooner than they were. 2018 saw a promising (not good, far from that) number of hen harrier nests succeed, and for a while there were a number of these fledged harriers, most fitted with satellite tags, roaming the UK. I said at the time, that it was so, so sad, because more harriers would end up disappearing over the coming months. Sad to say, I have been proven to be correct. Which brings us back to brood management. It will, I am sure show a brief increase in numbers of hen harriers, when the young have been released, but they will just end up being killed as soon as they find their way to a driven grouse moor, which will in time, lead to more debate, more excuses, and more time wasting. Brood management is simply yet another time-wasting exercise by those affiliated with, and sympathetic to the driven grouse shooting industry. Sadly, until the act of killing these birds of prey and allowing the perpetrators to get away with it is addressed, the UK population of hen harriers will remain in jeopardy.